George Russell came from England to further his commercial interests. He was a founder of one of New Zealand’s oldest mercantile firms, Russell & Co, later the National Mortgage & Agency Co Ltd, and now part of Fletcher Challenge Ltd. Among his many talents, George Russell appreciated beautiful gardens and at his instigation many of the magnificent older trees were planted such as oaks, elms and macrocarpas. The Russell Family returned to England in 1900 and the Homestead was unoccupied until 1917. Mr Phillip Barling then purchased the property and organised the planting of the many wonderful rhododendrons. In 1956 James Barling opened the grounds of Glenfalloch to the public and even the Queen Mother toured the gardens. Then later the Mills Family, well known to the locals for their radio broadcasting and later television purchased Glenfalloch in 1960. 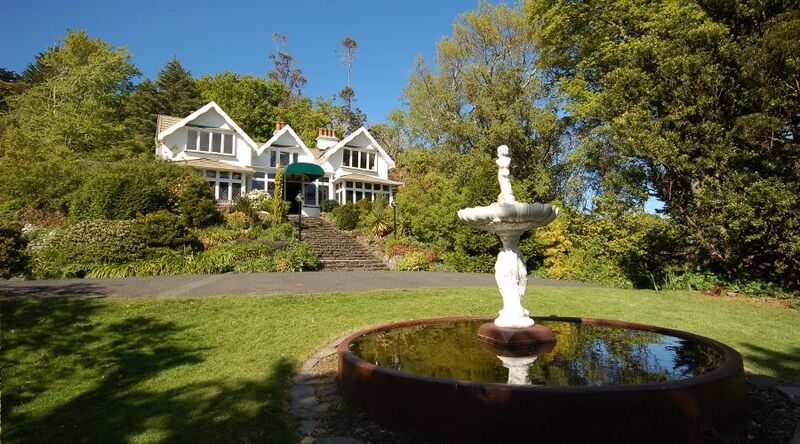 The Otago Peninsula Trust was founded in 1967 and funds were raised to buy the property. This was New Zealand’s first conservation trust to be formed and was designed to ensure public access to Glenfalloch was retained for the good of the city and tourists.